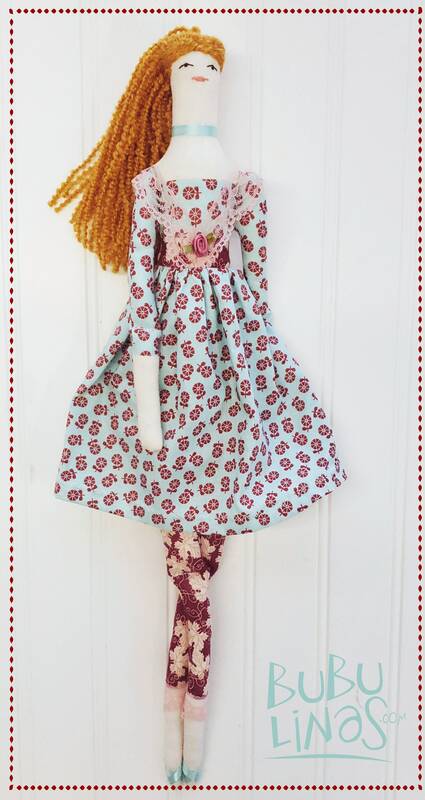 Pretty ginger hair rag doll with lovely light blue and maroon dress. 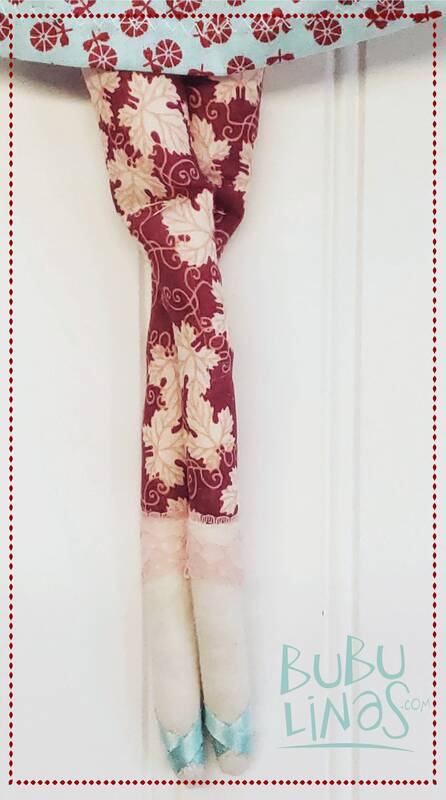 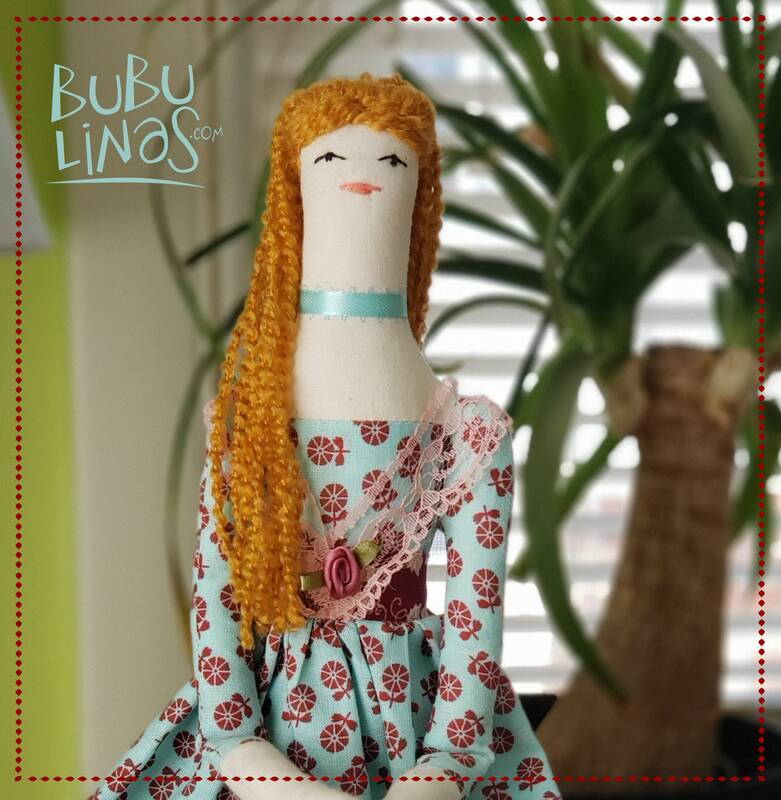 This cute rag doll can be a one of a kind decoration for a girls room or a home office, she can keep you company while you work, or she can play, but very gently! 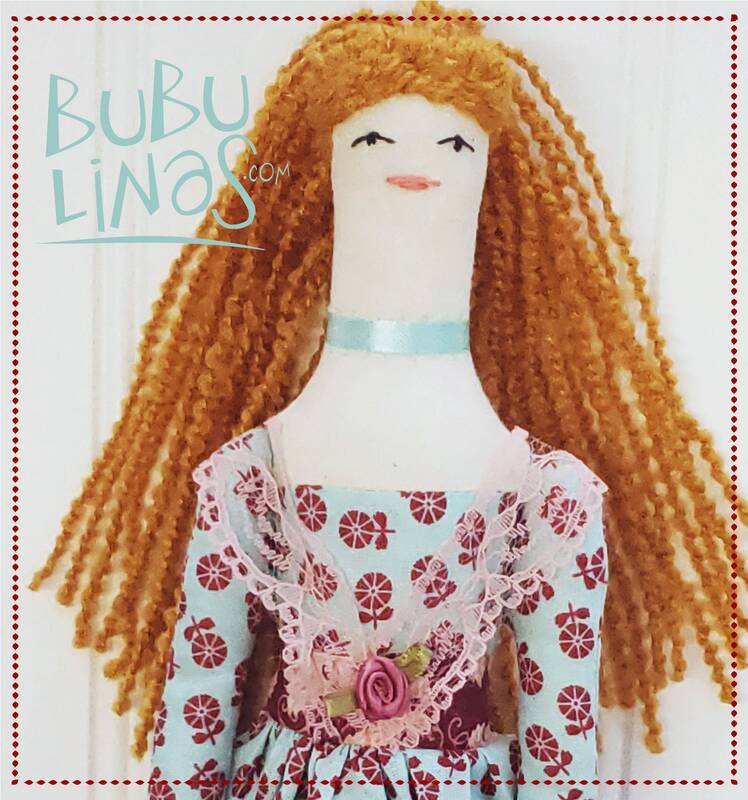 Remember that she is not a certified toy so it's not recommended for kids younger than 6 years old and, as always, adult supervision is very important.